There are an increasing amount of IT jobs being advertised New Zealand, making it the strongest employment sector for potential expats interested in travelling to the country. Official figures from the end of last year show that the number of IT jobs increased by 6.2 percent in December, compared to an 8.9 percent fall in engineering and construction. New Zealand as a country has one of the highest demand levels for expat workers than anywhere else in the world due to a well documented case of ‘brain drain’ which is when skilled, home grown, individuals choose to ply their trades elsewhere in the world, leaving a dearth of workers to fill important roles. In a bid to improve this situation the authorities of New Zealand have led a number of campaigns designed to draw in more skilled expatriates from other countries, with professional Brits amongst the most highly coveted. 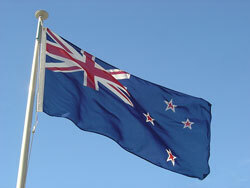 In fact, New Zealand’s brain-drain is said to be 10 times greater than that of neighbouring Australia. Brain-drain can have a significant effect on a country, it is estimated that for every skilled worker that leaves New Zealand the country loses around $10,000 dollars via tax revenue healthcare and education costs. With this in mind would-be expats can find many positives in a move to New Zealand- for one the country is a useful jurisdiction for expats interested in the QROPS pension transfer, of which more information can be found in our Pensions and Retirement Planning section. As with all financial products, if you are interested in a QROPS it’s recommended that you consult with a recommended Financial Adviser.